T/O Marham 2124. Target, oil refinery Hamburg, Germany. Ditched 0200 off the island of Rottum, Netherlands. The aircraft was found in 1980. Photo's of the monument for the crew. Son of Harold Dudley Gerry and Margaret Buchanan Gerry, of Calgary, Alberta, Canada. P/O Gerry washed ashore on 23 August 1940. Oldebroek General Cemetery, Netherlands, grave 45. 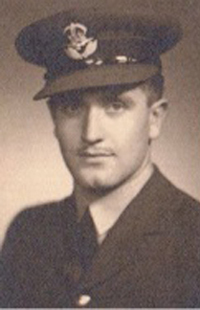 P/O Pryor was found at sea on 20 August 1940. Uithuizen General Cemetary. Private Memorial in soutn-west corner. Runnymede Memorial - panel 11. Dempsey James - Wireless Operator/Air Gnr. Son of Mr. and Mrs. James Dempsey, of Kirkcaldy, Fife. 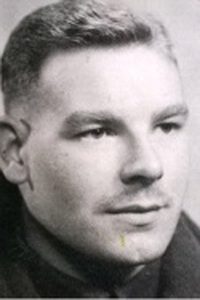 Sgt Dempsey was found at sea on 23 August 1940. Delfzijl General Cemetery, Netherlands, Plot B. Class 2B. Row 21. Grave 287. Croft Jack Millen - Air Gnr. Son of Carey and Harriet Ann Croft, of Earby, Yorkshire. Source GWGC - Photo (Pinterest.com) Kath Fenning, cousin. Wilde Sidney John Scott - Air Gnr. 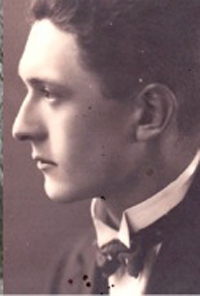 Son of Sidney A. and Iris Scott Wilde; husband of Ila Wilde, of Howwood, Renfrewshire. 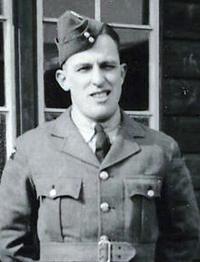 Sgt Wilde was found at sea on 23 August 1940. Delfzijl General Cemetery, Netherlands, Plot B. Class 2B. Row 21. Grave 285. John's brother, Ordinary Seaman David Scott Wilde, who joined the Navy in 1939 when only aged 16, was killed when HMS Coventry was lost off Tobruk on 14th September 1942.